First thing the Garmin Edge 705 has a new home. It had to go, next is all the stuff I’ve hoarded over the last 30 years. Next to go is a Raleigh Dynatech MTB from 1990-1991. Fitted with the first Rockshox air forks, 50mm of travel. Really clean for the age of it. This was a £999 MTB in 1990. Wednesday: Rode out to the Eureka for breakfast, saw the Mayor (4Square) then headed out to Cheshire Oaks then onto the EPort. Called in at Vita Cycles where Phil seems to have taken the hump with everyone that uses a Garmin or for that matter a cycle computer, which must mean just about everybody that comes through the shop door. To a certain extent he has a point, it’s good to go out and ride something just on “feel” but to avoid the clock at any cost is a tad shortsighted. Don’t even mention Helmets. 37 miles. Thursday: Beckys Morning spinning class at the Oval followed by another sort out. Managed to get on what turned out to be Tex,s Trixter class at the Tennis Center. Tex and I go back to secondary school and I’m sat outside listening to him dish it out to his Circuit Training class. The thing with Trixter bikes is that there should be no easy ride, unfortunately the Council bikes aren’t maintained to a high standard so suffer from not enough resistance at lower level. With only three of us in the class it was going to be a tough class. And so it turned out to be, no videos of nutters going mad on the streets of London, New York or for that matter Liverpool. Just a straight instructor led session where there is not let up as you are under Tex,s beady eye. Shower at home then took my mum upto Heswall and onto the Ship in Parkgate for lunch. 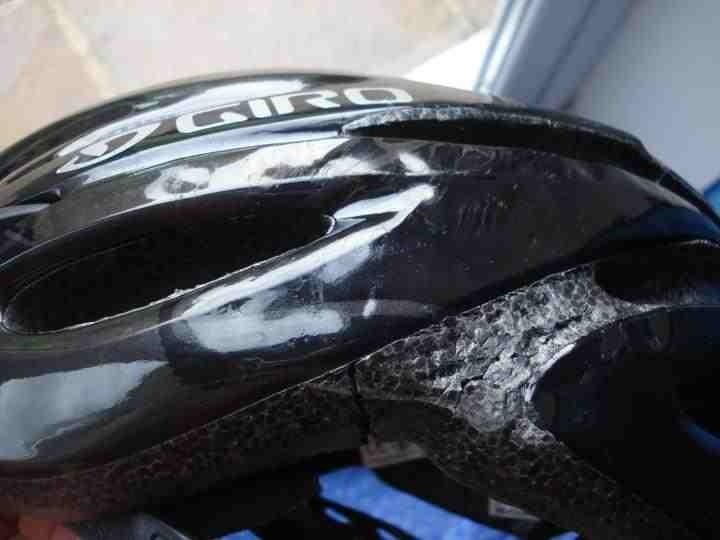 On the subject of Helmets, John from work touch Barbara,s back wheel went down hard and split his helmet in two. He only had the helmet a week and even he says it was a good job he was wearing it as he was somersaulted head fist into the kerbstone. Tried to get on an evening spinning class to no avail and ended up going out for a network storage drive. I’m going digital mainly because the old media takes up so much space and you need the player to play it. Saturday: Planned a new Course out to the Eureka to test Coursepoints in various versions of the Edge 800 maps. I was expecting to get turn directions but got none, when riding the Course a completely different set of screen options come up, a lot of them based on the non existent Coursepoints. On another note I’ve had some contact with an advertising agency about “A cyclist called Frank” unfortunately the message was stuck in a Facebook message for nigh on 3 weeks and has been given to another Frank. I’m going to kick myself long and hard over this one. Looks like I’ll have to continue blogging. 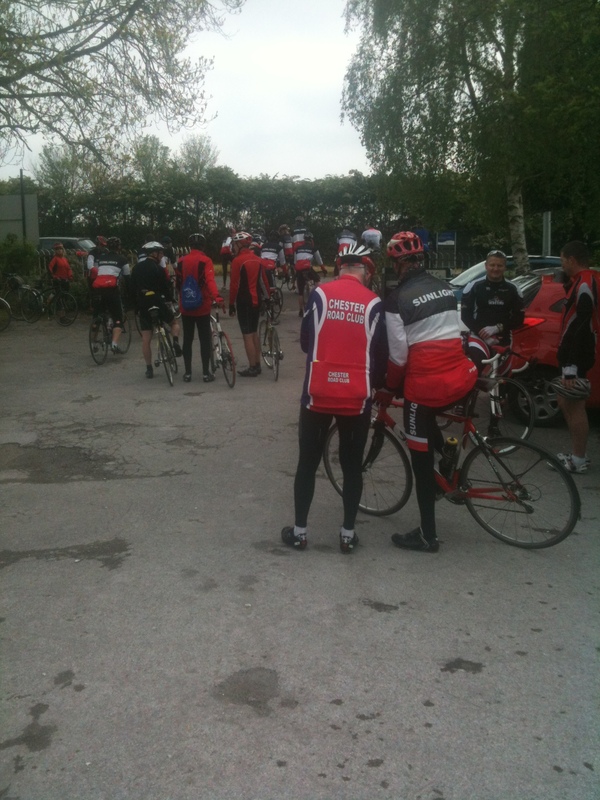 13 May 2012: Rode out to the Eureka knowing that the road was closed due to the Chester half marathon. Had breakfast with the Seamons club rolling in. This was the same time as a dad and lad first timers now found themselves at the back of the queue. Bumped into Dave on the way out as he was just back from a 6 AM start out to Llandegla MTB centre which looked to be closed as he was that early. Woodbank was free of runners and by the look of things Sportive organisers have a good deal to learn from them. All the bottles from the water/feedstation in Woodbank were in a large wheelie bin. Top marks to the organisers, in contrast a Sportive is an opportunity to discard all your gel wrappers along the route. I can get really pissed off at this as it’s obvious where the Gels have come from, we’ve just dished them out at the start. I started off doing pure charity rides, where a portion of the entry went to the charity. This has turned into an event where your entry goes to the organisers and you are expected to make a donation to the charity. There is a massive following for Sportives for some reason and as far as I can see it’s the sort of rider who doubt’s their ability to join a club. We all get dropped, if your not up to the A group it’s because your not ready to race. A slower group may include a cafe stop, either way you usually get to ride with a good group and it doesn’t cost you £25 for the purpose of it. Feedstation, in real life it’s a village shop once your out in the sticks. The pubs close during the day as there is no passing trade. Midweek the lanes are your own, there is no traffic. Once past the school run there is next to no traffic on any indirect routes that don’t involve an A or B road. Back to the ride, Eureka Cafe for breakfast where a section of the Seamons came in, then off to Chester via the Dee, Chester race course and on to the ICF via Saighton where the road race was on. Spent a couple of hours with Paul and the grandkids at the Ice Cream Farm then it was on to continue a new section of the ride by just playing it by ear. Forgot to press Start on the Edge 800 after the restart so lost out on a mile or so. The route headed out to Beeston Castle dropped down to the Shady Oak then headed up to Tarporley which must be one of the few places to avoid the supermarket onslaught. All the better for it, also noticeable for a lack of charity shops once the supermarkets move in. Shocking road surface on what should be a fast steep descent to the junction at Willington Hall, no wonder there are accidents there. 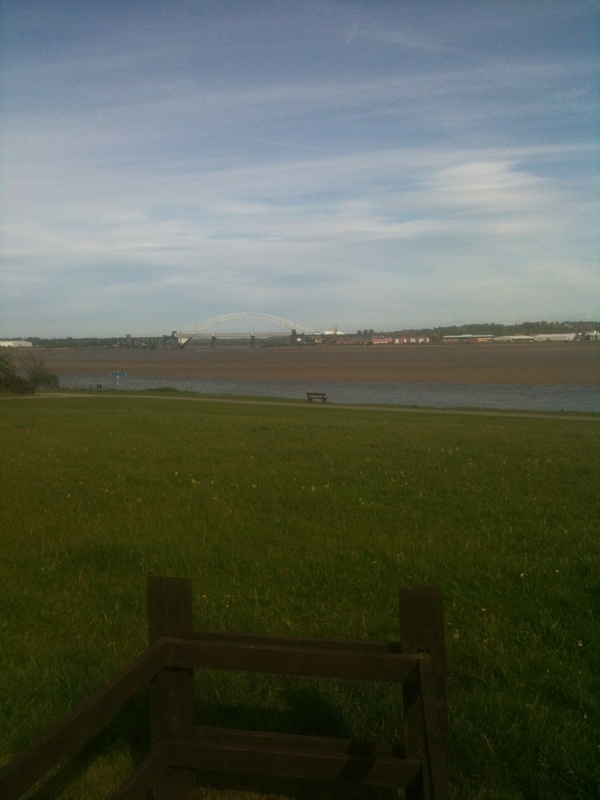 Widnes bridge from Hale Bank. Stopped at Hale for a drink and then picked up the sandstone trail which was a bit of a mistake as parts of it by Speke are littered with glass. Ended up on the front at Otterspool and had a really good ride along the front to the Liver buildings. It’s a section of the ride I would recommend to anybody. Very quiet as it was a bit breezy and it was getting on. Picked up the train from James Street got off at Hamilton Square and headed home. 18 May Missed a morning spinning class and spent way too long looking for some worktop bolts that ended up costing £1.55 to replace. 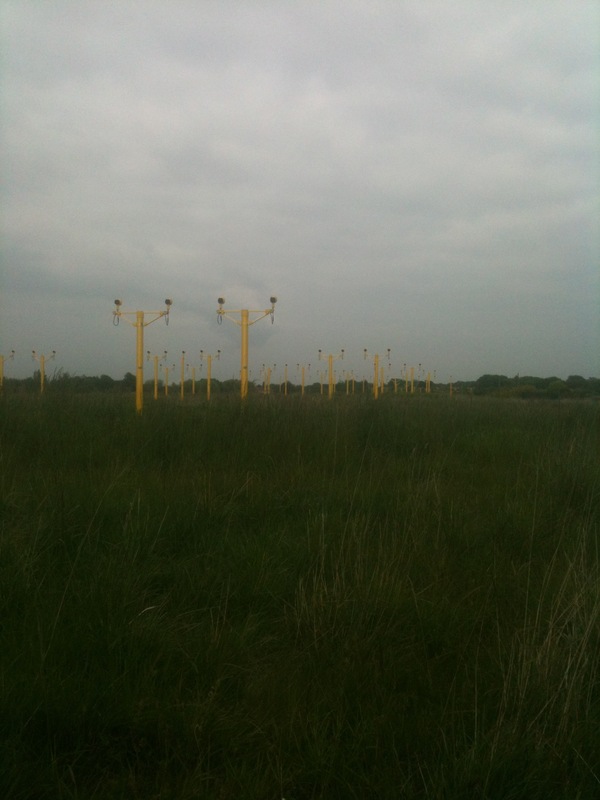 Given the cost I’ve spent about 2 days looking for these bloody things. Called in at the Eureka cafe for a BLT sandwich for lunch. This was also an opportunity to try out a Course on the Edge 800 and see what came up. The return was an Edge calculated route home and it worked, gave all the correct junction calls at roundabouts. 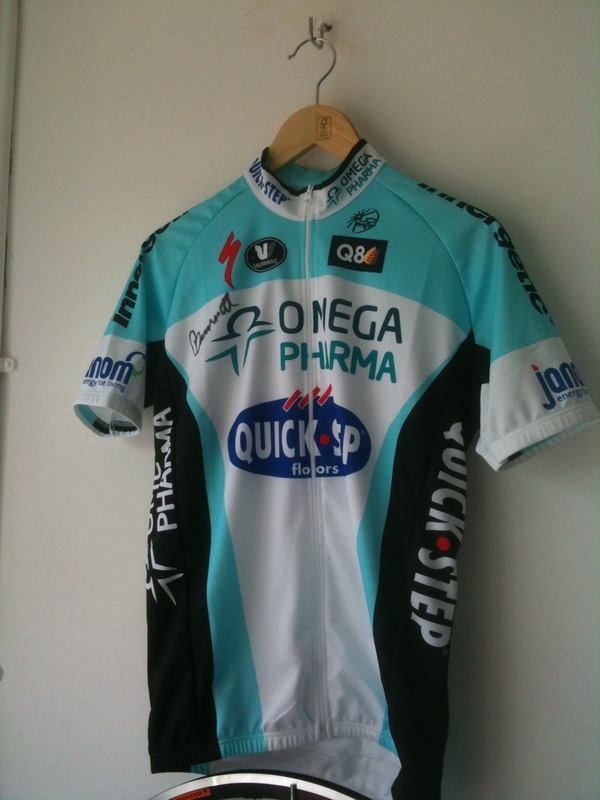 Listened to Giro on Eurosport as I didn’t get to see much of it in the kitchen. Picked my mum and Val up from their Llangollen canal trip and just made Barbara,s spinning class at West Kirby. Having looked at the site again in the last few days, I’ve been doing this stuff for quite a while. You see familiar faces on the spinning bikes but boy can some of them give you a good run for your money. Shower , home and watch the Tour Series on ITV4 which was excellent. CTC weekly newsletter is promoting the Wild Wales Challenge. Great event with a unique event reminder, a piece of Welsh slate with an event picture screenprinted on it. You do come to cherish these over all others. 20 May 2012 Trying to repeat last weeks ride but without the hickups. Got to the Eureka just as “The Sunlight” were going out en masse. It was a big group. I’ve got to admit the kit looks good. It strikes me how many people I’ve met, know, can talk to or just give them the nod of recognition. It’s a lot. Today there was a Japanese guy there going out with the CTC to Denbigh. Bumped into Alan Negus at the Eureka in his New Brighton kit, which considering the club kit wars that is going on is cheap as chips at £16 for a quality shirt. Bob from New Brighton was trying to explain to the Japanese guy that he was a coach, which translates as bus, not cycling coach. He got it in the end but not sure how he would find the ride. Saw Vita Phil coming up the “Never ending lane” didn’t look like he had another 100 in him to be honest. Bumped into Chris on the Dee cyclepath and had a good conversation until we parted at Saltney Ferry. Chester was nice with some Roman tented thing going on on the far side of the Dee. Car access to the bits by the bandstand is a pain as it is normally blocked. Olympic flame route signs out too. Just got an invite from Halliwell Jones. Called in at the Bike Factory where the Trek Damone saga is still unresolved. Project One and bin half the kit, cycle to work scheme seems a no goer as it looks like I can’t make 40% bracket. Savings none. Thinking about the options I went clean past the turn and got locked in a housing estate with only one exit, the one I went in. This was not to be the first U turn of the day more was to come later and this turned out to be a good one. The Ice Cream Farm beckoned but not before a trip out to the road race circuit at Saighton, thankfully the race had finished again as I didn’t want to get caught up in some last lap action. Spoke to Pete Stanley of “The Sunlight” at the Eureka before what a appeared to be a massive club ride and some have opted for Old Ma’s Cafe just up the road as it’s quieter. Impressive turnout once again. During the latest clearout we found an old Atari Lynx with a few games in the original boxes. Fired the thing up and it still worked. Took it to the Ice Cream Farm to keep quiet Jack for a while. You can’t believe how funny it was watching a 6 year old trying to play a game thinking it had a touchscreen 20 years before it was invented. One thing that hasn’t changed with the old games is the playability of the old games. They were good in their day and they still stand the test of time. Back on the bike and there is still a lot of miles to do, no Shady Oak this week as I opt to go straight on at Beeston Castle. Tried a new section of route because at my age you can and it seemed ok. Had to cross the dual carriage way at Kelsall but I’ve been that way before and it’s not a problem. Before that though there was a problem, I’d been following the bridleway signs for the Delamere Forest Sandstone Trail which led me to a field just after Dark Arc Lane as the descent was steep to say the least there was no way I was going back up it. Got back on track and was soon at Alvanley.